Successfully Added Blackview BV6000 IP68 Waterproof Mobile Phone 3GB RAM 32GB ROM 4.7-Inch 4G Smartph (Black) to your Shopping Cart. BV6000 has a waterproof level of IP68, breakthrough limitation to take photos whenever and wherever you like even in the rain or underwater. Single click to access shooting mode, one more click to take photos, and long press the snapshot button for 2-4 seconds to enter the video mode, single click on the power button to exit shooting mode. BV6000 is equipped with the 5th level of the 3rd generation Corning Gorilla Glass, which allows the touchscreen could be operated even when you wearing gloves. Dual cameras, 85°wide angle 5.0MP OV5670 front camera, 13.0MP OV top level rear camera with the big aperture value of f/2.0. Intelligent power management system helps the battery of BV6000 last long time, both intelligently and efficiently. Three times faster than a 4G network, the 4G+ network allows users to upload data at a speed of 50Mbps, and the speed of downloading reaches 300Mbps the maximal. The high speed will definitely surprise you when you have a unit of BV6000 in hand. Polycarbonate plus glass fiber make the high strength and hardness are both available. 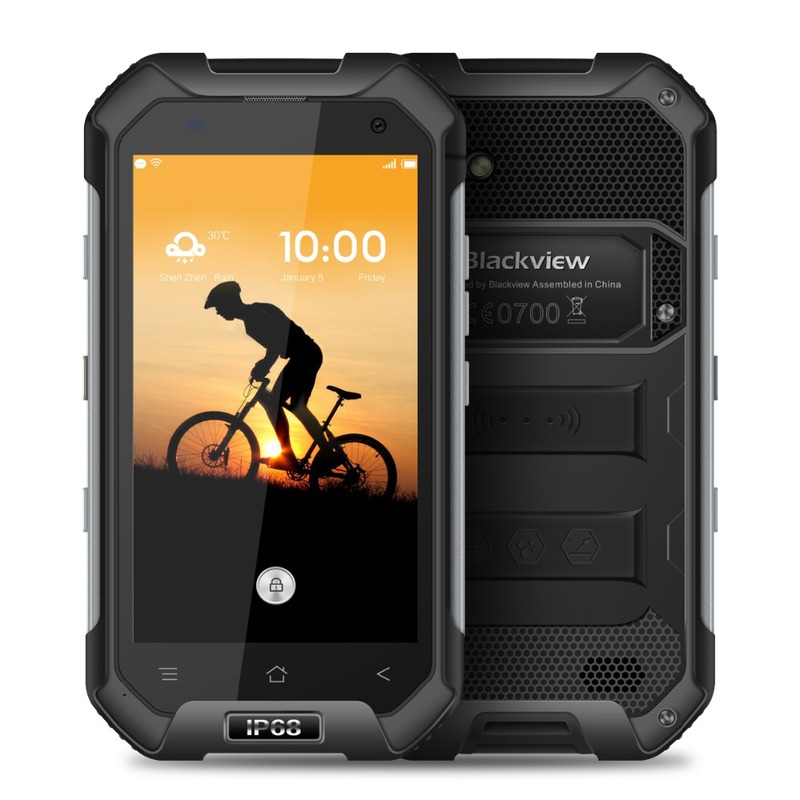 The cushioning material of BV6000 is TPU that has excellent cushioning effect protecting your gadget from the serious bump. 3GB RAM, the highest specification of mobile phones nowadays, with super fast read and write rate, brings you a feeling of flying. 32GB storage space stores more and bears more. Powered by MT6755 2.0GHz octa-core cortex-A53 processor, BV6000 runs much faster than you can imagine. Stronger chipset brings a marvelous performance, preventing lags on the device and decreasing the power consumption by 30 percent. Mali-T860 GPU has a 700MHz main frequency, always doing well in dealing with all kinds of images.